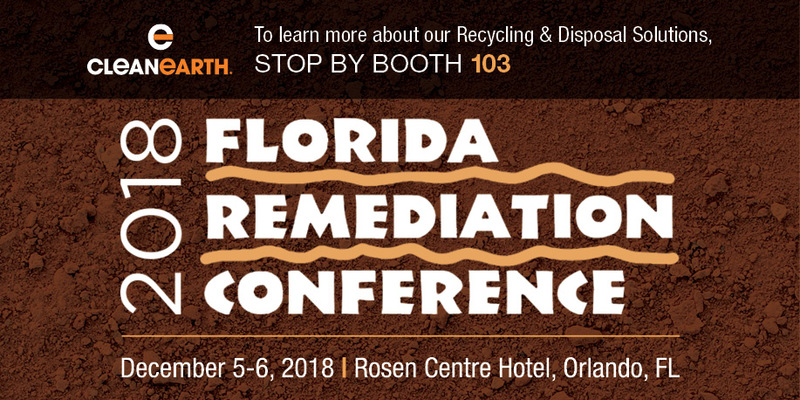 The Florida Remediation Conference is the Southeast’s premier soil and ground- water cleanup conference of the year. This event will be held at the Rosen Centre Hotel in Orlando, adjacent to the Orange County Convention Center on International Drive. Over the years, FRC has developed a solid reputation for a casual atmosphere that’s conducive to good communications between all participants—speakers, attendees and exhibitors. Over 500 professionals joined in 2017! Come on out and join Clean Earth at this great environmental industry event. Clean Earth is a proud sponsor and exhibitor of this well-known, well attended conference! Visit us at booth #103!